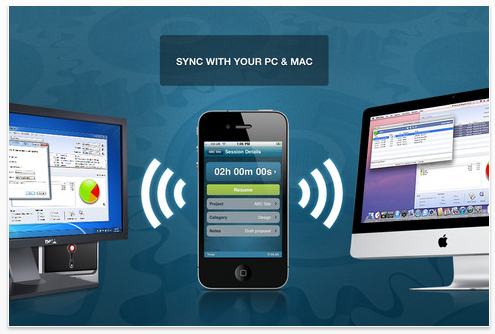 OfficeTime.net has released an update to its iOS 5 compatible version of OfficeTime for iPhone and iPad. OfficeTime, the highly successful time and expense tracking app, now enables users to quickly see the chosen hourly rate on the Session screen while the Lite version displays the project timer at the bottom of the home screen. These updates, along with others, are in response to user requests to be able to check at a glance the time and rate being applied to a particular project. OfficeTime is designed to balance features and ease-of-use, enabling users to easily track exactly what they do each day and how much they spend. The company is so confident in OfficeTime that it is offering a full money-back guarantee if the app doesn’t pay for itself by registering more time than the user otherwise would have logged and invoiced. Ideal for anyone who bills by the hour, OfficeTime makes recording and tracking time and expenses simple with a clean, elegant interface. The iPhone and iPad versions focus on ease-of-use, recognizing that if time tracking is simple to do, users will be more likely to take the time to do it. OfficeTime takes great care to minimize how many finger taps it takes to do something. For example, it can preselect the most common task for a project, allow one tap entry of common notes, and let users edit anything they can see, even in a report, with a tap. Starmap, the world’s first planetarium mobile application for the iPhone, announced today on their website that Spacemap is the only astronomy mobile application currently available that can display the orbit of the nearby passing asteroid 2005YU55 in 3D animation. The asteroid made headlines this week, including USA Today, because of its rare close proximity to Earth. Starmap founder and creator Frederic Descamps caught the asteroid with iPad using Spacemap, and videoed its course using the mobile application. "Such are very rare in human time-scale, but quite frequent in geological scales." said Descamps. "We don’t expect to see the next object flying so close to us within the next 15 years"
The asteroid should be visible for the next few days, and will come closer to the Earth than the moon this Tuesday, November 8. 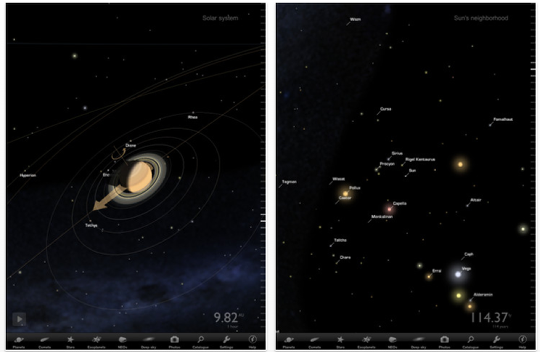 You can see the asteroid with Starmap and Starmap HD, but Spacemap is the only application available in the iTunes store that displays its orbit in 3D animation. Descamps’ 3D animation video of 2005 YU55’s orbit is currently on YouTube. Sock n Boots Worldwide, a burgeoning children’s book publisher, has today announced the release of Sock n Boots Adventures for iPad devices running on iOS 4.1 or later. Sock n Boots Adventures is a dynamic storybook app that updates three tales from the critically acclaimed Sock n Boots book series and turns them into interactive mobile adventures. Each story – starring the quirky duo of Sock and his wise friend Boots – includes scores of dynamic elements, animated thrills, and chances for kids and parents alike to interact with the app’s two heroes! Not to be outdone, the app gives users a chance to tell each Sock and Boots adventure they way they’d like, as well as offering a fully featured coloring book! Sock n Boots Adventures is currently available for download on the Apple App Store for $0.99 in the Entertainment category. Released to universal acclaim by children, parents, and pundits alike, the Sock n Boots book series has established itself as a perfect catalyst to bringing young readers and their parents together with stories that both entertain and encourage kids to gain a passion for reading. 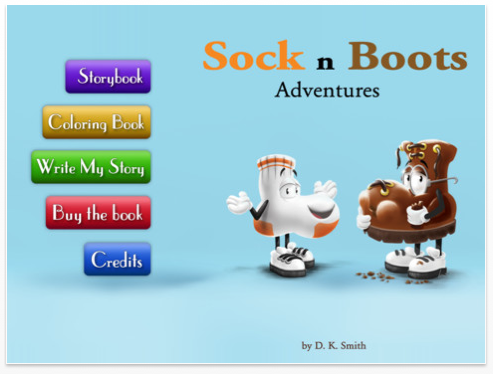 Sock n Boots Adventures for the iPad takes three of these beloved stories and turns them into full-fledged interactive spectacles where users can touch and hear the story unfolding in front of them via vibrant professional animations and audio narration. 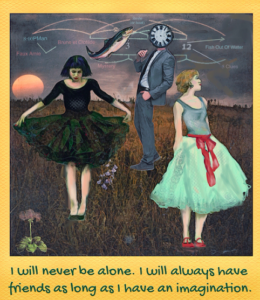 The app gives users the power to enjoy each of its three included stories in three equally unique ways as well. What remains constant though is these stories’ power to engage children together with parents and encourage them to work together and bond while experiencing Sock n Boots Adventures. Hailed for its simplified yet highly functional features, Apple’s iPhone has skyrocketed and has had 17.1 million units sold as of the third quarter of 2011. Over a hundred days since the opening of the iPhone Apps store roughly 200 million have been downloaded. Statistics also reveal that Google’s Android usage is soaring at 886% on a year-to-year basis, and is now activated across 60 specific devices in more than 40 countries. Mobile phone users are always on the lookout for iPhone apps that offer fun, clever or amusing game play while on the go. Paid and free iPhone games alike are invading the mobile gaming space and continue to grow each day. As such, iPhone game developers around the globe build their apps in hopes of ranking as one of best games for iPhone within their marketplace. Aiming to add another exciting app to the AppStore, Tashlik Studio, a leading developer of game applications for iPhone and Android OS, will launch an upcoming game for the iPhone titled, Angry Tank, in November 2011. 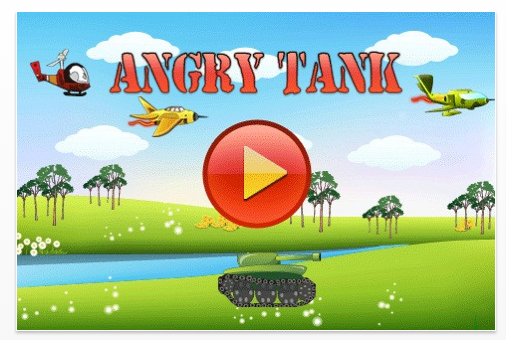 Angry Tank offers players four types of tanks that battle it out against different enemies. It is poised to charm gamers with its beautiful vibrant backgrounds for more than 150 levels. Ipanema Games and MobJoy has released Smelly Cat 1.2 for iOS. With simple, one-touch controls and 120 levels to test the player’s skills. Smelly Cat can be enjoyed by players of all ages, presenting the user with the kind of good, clean fun and addictive gameplay that will have them enthralled for hours on end. Now you can help the cat on the bathroom and at the petshop! "In our review of the Apple iTunes app store, we saw that there was great demand for easy-to-play games that could be enjoyed by any age group," said Bruno Machado, co-founder of Ipanema Games. 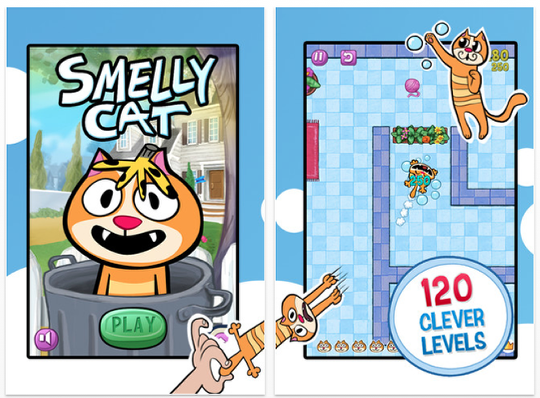 "We designed Smelly Cat with the goal to entertain anyone looking for a fun game to play, whether it’s for just a few minutes or a few hours," continued Luiz Menezes, co-founder of Ipanema Games. "We hope players of all ages will help this desperate cat get the bath he needs to win the heart of his true love." 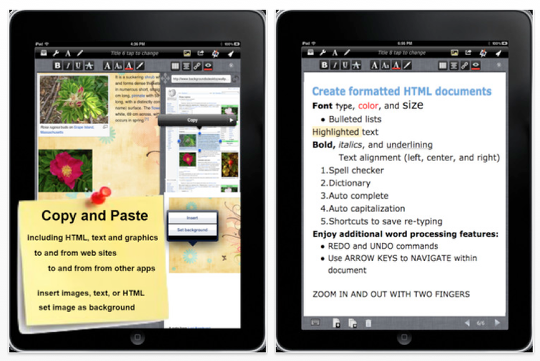 Resolvica, Inc. today is pleased to announce that BE Write HD 1.3.5 for iPad app is on sale in the iTunes App Store. Now through November 19, 2011, the app, which regularly sells for 6.99, will be available for just 99 cents. BE Write is a feature-packed app for creating great looking blog posts, emails, and other formatted documents. BE Write is a WYSIWYG HTML editor (no knowledge of HTML is needed). There is no need to toggle between the HTML view and the display view. As always, one of BE Write’s most exciting, innovative, and just plain fun options is the drawing feature that lets users easily include handwriting in blog posts and emails. This means a person could include a few lines of text or an image in a page, and then draw an arrow, underlining, or some other image to highlight a particular feature in the text or image. 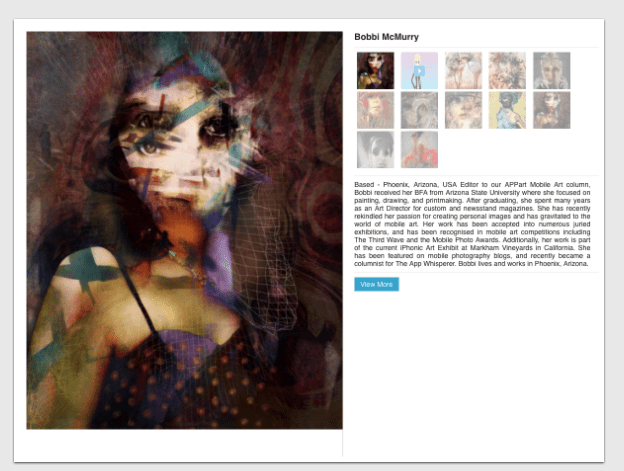 This page could then be emailed, posted to a blog, or used in other ways. 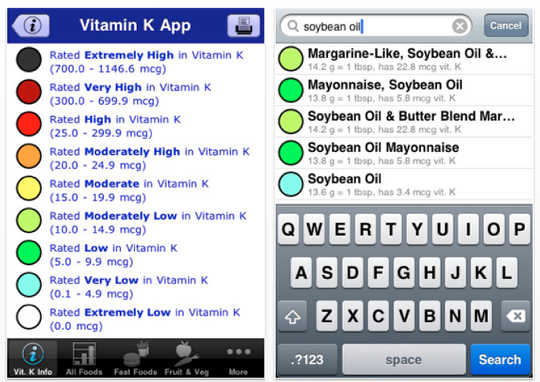 Independent developer James Hollender has released version 2.5 his Vitamin K app for iPhone, iPod touch and iPad. The Vitamin K app allows users to easily find out how much vitamin K there is in over 900 different foods which is critical in helping keep the effectiveness of their blood thinning medications working properly. The new version is updated for iOS 5. If you take blood thinning medications like Coumadin(R) or Warfarin (also known as Jantoven, Marfarin, Lawarin, Waran and Marevan), then this is an app you will truly make use of on a regular basis. Most lists providing information on the content of vitamin K (K1, K1D & K2) in foods generally contain only a limited number of foods, and often they don’t indicate the serving size. It is important to understand that the goal isn’t to not eat any foods with vitamin K, but rather to keep relatively constant the amount of vitamin K ingested each day so the amount of Coumadin(R) prescribed can work effectively. This can be different for every person using blood thinning medications, and this is why doctors require occasional blood tests as they indicate if the dosage needs to be adjusted. For casual game players looking for a new game that blends outer space puzzles with fast-paced action, WonderStar Games today announces the launch of Lost in Cube, its new app for iPhone, and Lost in Cube HD, designed for iPad. "Lost in Cube is a well-crafted, casual puzzle game that you can enjoy any time," said Justin Hur, CEO of WonderStar Games. "But the game is very addictive – there are 24 exciting Cubes that will keep you playing for hours." Combining science fiction with casual gaming, Lost in Cube follows the journey of Qubby, an adventurous meteoroid that has lost his way in a galaxy unlike any other. Here, Qubby finds himself trapped inside the Cube, and it is the player’s objective to help him escape. 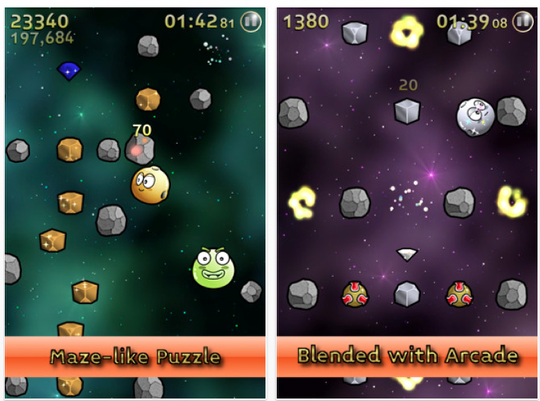 Game play revolves around using three simple controls to release Qubby from the Cube while collecting valuable gems hidden inside space rocks. Players can drag, swipe, or tap the screen to make Qubby fly or stop. He can fly slowly and follow the direction of the player’s fingertip or he can fly fast enough to blast away anything in his path. "The game’s simple controls are easy enough for kids to enjoy as well as adults," Justin Hur said. 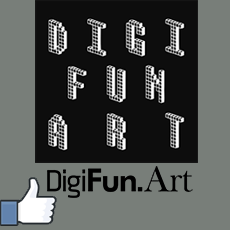 "Lost in Cube is a great casual game for children who like solving interactive mazes." Bert Lempens, a young belgian game designer, today is pleased to announce the release of Kings’n Queens for iPhone, iPod touch and iPad. The game is a simple turn-based card game. Since the core gameplay is inspired by a popular card game, played mostly in bars together with friends, it allows you to compete with up to four players on one device. You can choose between a single player and a multiplayer mode. 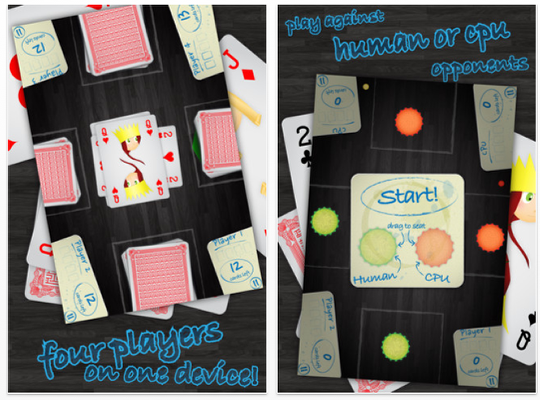 Kings’n Queens was developed using the popular Corona SDK by Ansca Mobile. The game starts with a simple tutorial, showing you the few rules you need to know. After this, you’re thrown into the game, providing the option to choose between single player and multiplayer games. In single player mode, you compete against computer opponents. As you progress through the levels, the difficulty of each opponent will increase. You will have to hone your skills and reflexes to be able to win the final games. Each level also allows you to compete on global leaderboards. After the game is complete, your scores will be added to each other and submitted to one leaderboard, showing the player with the best time for beating the game! In multiplayer mode, you can compete against human or cpu opponents. Setting up a game is easy. Just drag at least two human or cpu caps the seats available to you. 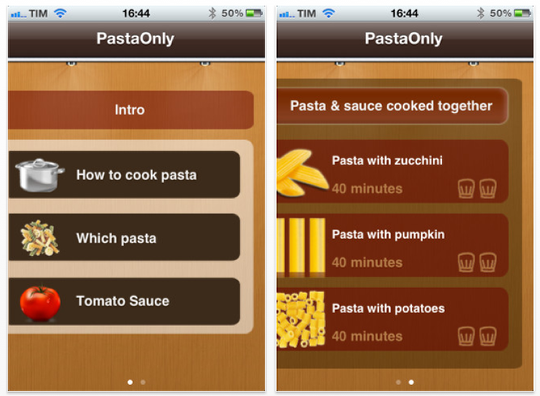 After the success of its iPad edition, IdeaSolutions today is pleased to announce the release of the iPhone edition of PastaOnly 1.1. PastaOnly contains authentic Pasta recipes to give you the best taste of a traditional and family-made Italian Pasta. This includes a unique and eco-friendly way of cooking the Pasta together with its sauce. Cooking pasta with its sauce is a traditional and eco-friendly way of cooking, where the pasta will be embraced by its sauce while cooking to create a unique and sublime taste. 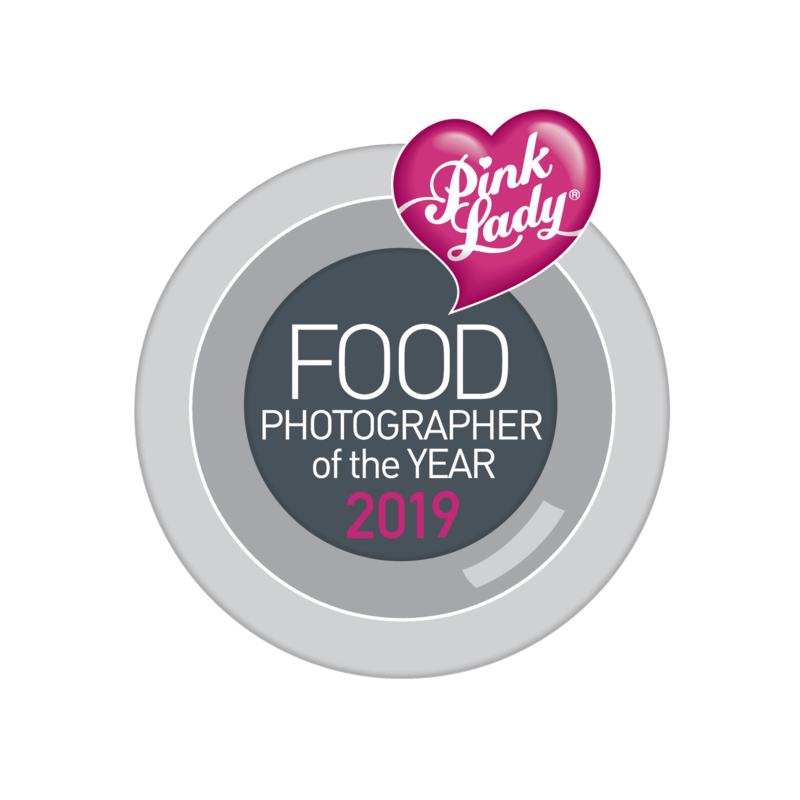 Cooking pasta and sauce separately is the more traditional way of cooking pasta; "PastaOnly" presents several recipes in this category as well. PastaOnly will open to you the real world of cooking pasta in the authentic traditional Neapolitan style with a carefully chosen selection of the best pasta dishes. 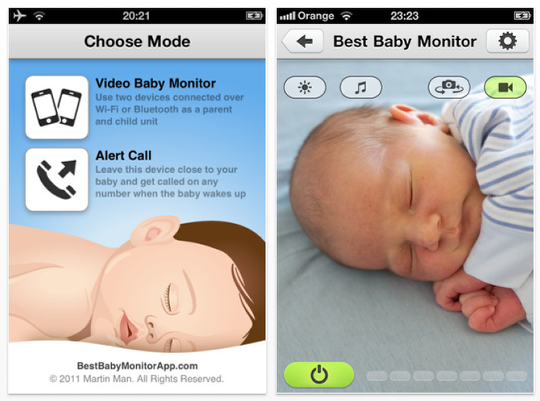 Independent app developer, Martin Man, today is pleased to announce an update for Best Baby Monitor, the reliable and easy to use Video Baby Monitor for iPhone, iPad, and iPod touch. "By supporting Wi-Fi and Bluetooth, we are making Best Baby Monitor the only video baby monitor available on the App Store today that works everywhere and at any time" said Martin Man, the lead developer. "Automatic discovery and zero configuration of both devices make Best Baby Monitor absolutely easy to use for all consumers. Best Baby Monitor will choose the right connectivity option in every situation. It can be used everywhere, even when Wi-Fi network is not available." Support for iOS multitasking allows the consumers to use parent unit device for their favorite activities such as browsing the web, checking the emails, or chatting with friends, all while monitoring their little ones during the sleep. Best Baby Monitor continues running in the background, playing all sounds from the baby’s room. Single tap on the red status bar takes you back to the full screen video stream. Night vision mode gives parents another dimension of monitoring their babies during deep nights. It can be conveniently controlled from the parent unit, making it easy to quickly check that your baby is safe and sleeping well. Additional features such as built-in lullabies, activity log, signal quality indicator, and alert call mode make Best Baby Monitor the top quality product in its category used daily by thousands of satisfied customers all around the world. E-Z Apps is pleased to announce that their first app, Ace Your Next Test, is now available exclusively for the iPhone, iPad, iPod touch, and Window 7 Phones. Ace Your Next Test is a highly useful and effective resource for getting a better grade on any type of test. 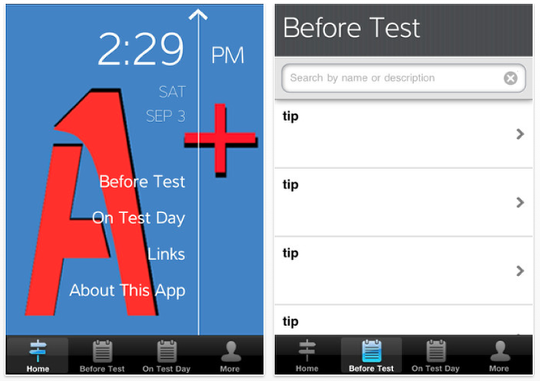 Ace Your Next Test is an app that makes studying easy and flawless. Right from the start, users can access comprehensive study tips, reliable website links, and interesting videos. Study tips are divided into two sections; Before Test and On Test Day. Each has tips related to their topic, which make taking a test a breeze. All tips are in list format, so scrolling is fast. When clicking on individual tips, the user can share the tip, using facebook, twitter, or email. "Ace Your Next Test employs a wide range of tips for all subject areas and learning styles", said a user "They care about their users". E-Z Apps gathers user feedback from the App Store ratings and from their website. Corporate Smalltalk Consulting, Ltd. has announced Fax Reader 1.8.6 for iOS, a feature update to their document viewer/handler app that allows the user to either view the TIF files generated by standard office fax machines, or convert them to PDF documents for other apps to use. As faxes are increasingly emailed to save on paper costs, Fax Reader works by supplementing the existing document display logic found in iOS, which will only display the first page of a fax but not allow access to subsequent pages even with the latest version of IOS 5. The app includes newly enhanced variable page height support, and functions as a document handler by providing "Open in…", clipboard, and Photo library support functionality. Fax Reader enables viewing of multi-page faxes by first importing the entire file into its storage area. Once imported, the file undergoes one-time pre-rendering that ensures the fax is optionally re-scaled to be optically correct and to provide the fastest possible rendering when viewing as a multi-page document. The user can copy documents into Fax Reader by using iTunes to copy files into, delete, or copy them out of the app. Users can also ask Fax Reader to open documents from other apps, like Apple’s Mail. CappsDev is pleased to introduce My Band Studio, a full featured music creation application which includes an intuitive yet complete interface to work on. My Band Studio uses powerful audio frameworks to mix, edit and play sounds in the most efficient way. 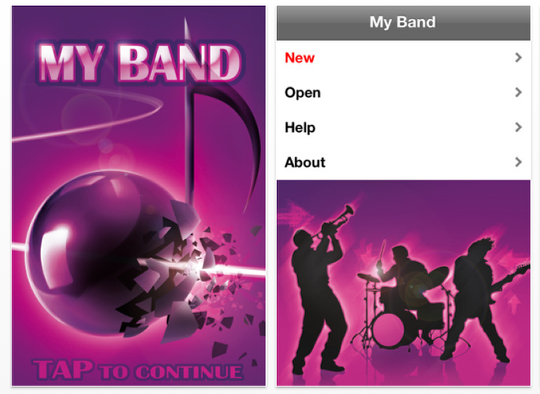 There are multiple different ways to add sound to your song with My Band Studio by either recording yourself, selecting one of the many different pre-loaded music loops or even selecting a song from your iPod library. In just a few taps and gestures the sound in each track can be adjusted the way you want. Finally exporting your song by email is as simple as it could possibly be. 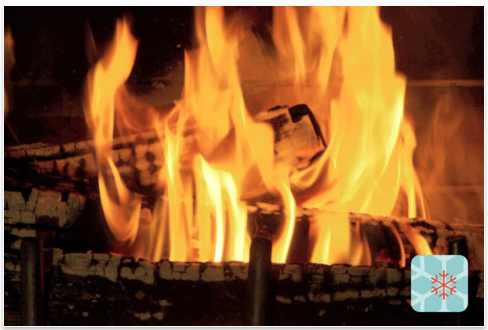 WinterSpark 1.1 brings a bit of holiday sparkle to your home with a portable, hi-def fireplace and a full-length compliment of relaxing holiday piano music. It contains a full-length copy of David J. Hahn’s holiday album. Perfect for a holiday party with many guests, an intimate gathering for a small group, or a romantic night for two. WinterSpark is a universal app optimized for iPhone, iPad, AirPlay, Retina display, iOS audio controls and continuous playback. 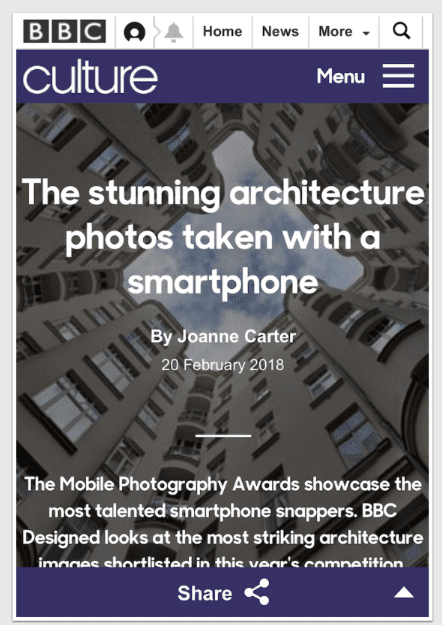 Corporate Smalltalk Consulting, Ltd. has announced an update to LargeViewer for iOS, their innovative document viewer that accommodates large page formats used by engineers or architects worldwide. 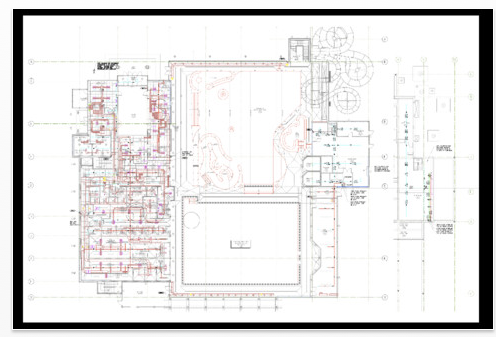 Ideal for examining 48-inch wide blueprints, detailed site layouts, CAD drawings, or hundred megapixel images using an iPad, iPhone, or iPod touch, the app provides fast scrolling vertically and horizontally with no drawing delay. 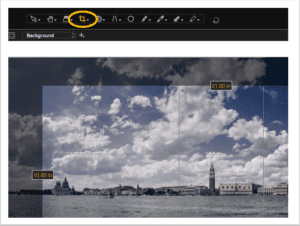 LargeViewer reads over 50 different file formats, and features enhanced cached Dropbox file download connectivity and management. 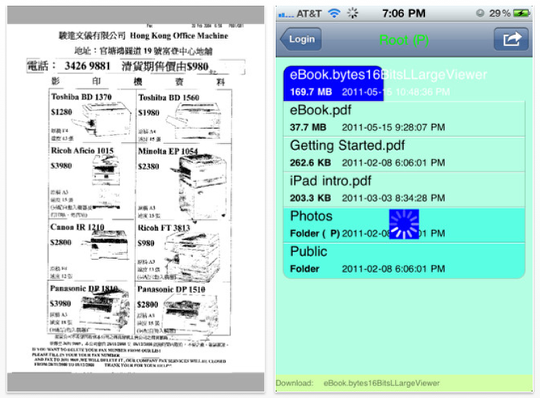 LargeViewer is designed specifically to overcome the two most common problems when using a general purpose PDF document viewer to display very large documents on an iOS device: crashes, slow-downs and endless waits for scrolling. Normally viewing a ISO AO, USA Arch E, Large E or the standard D1 format document using an iPad can be a frustrating experience. Scrolling slows to a crawl, zooming takes 15 seconds or longer. LargeViewer is designed specifically to avoid all those issues. Features now include scaling by width, or height, better handling of variable page sized portfolios, and instant opening of multi-thousand page PDF documents/books. Corporate Smalltalk Consulting Ltd has announced Well Logs 1.8.6 for iPad, an update to their unique app for the petroleum industry that enables viewing of extremely large Well and Mud Logs in either PDF or TIFF formats. 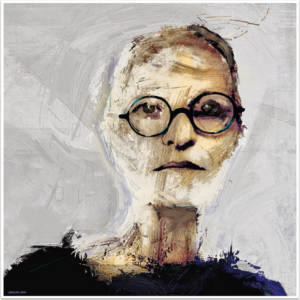 Capable of displaying documents as big as 11 x 770 inches (64 feet) at 230 dpi, the app relies upon proprietary technology from its LargeViewer app to import, store, pre-render, tile, scale, and scroll very large images on any iOS device. Well Logs is the only iOS app on the market to have the capabilities to load and view oil & gas wireline well log TIFF and/or PDF images. With wireline well files up to hundreds of inches long, most apps do not have the memory capacity to allow such images to load without crashing. Well Logs has made it a priority to specifically handle such unwieldy files. Of course, the advantages of viewing well logs that are 17 inches x 65 feet, or land maps that are 4 x 18 feet on an iPad rather than a paper document are significant. On-site viewing and discussion of paper documents no longer presents the inconvenience it once was. 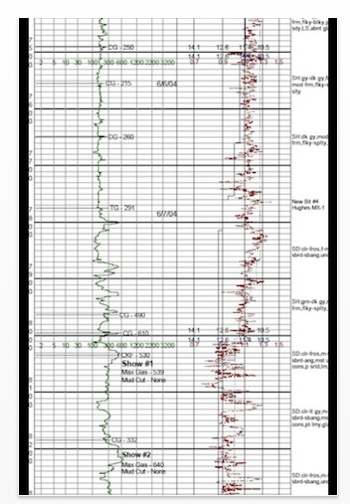 Well logging, also known as borehole logging, is the practice of making a detailed record (a well log) of the geologic formations penetrated by a borehole. The log may be based either on visual inspection of samples brought to the surface (geological logs) or on physical measurements made by instruments lowered into the hole (geophysical logs). Well logging is done during all phases of a well’s development: drilling, completing, producing, and abandoning. Well logging is commonly used to document the presence of oil and gas, groundwater, minerals, and geothermal sources, as well as during the process of conducting environmental and geotechnical studies. 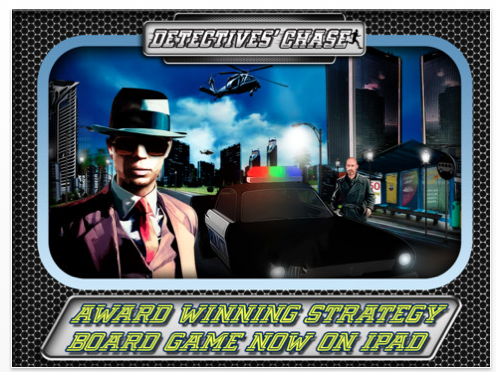 Demansol Software Solutions today is proud to announce the release of award winning board game ‘Detectives Chase’ designed specifically for iPad. It’s a great strategy game that can be as complicated or as simple as the users want it to be. Detectives Chase is a classic hidden-information game. You are either a detective or the elusive Mr. X and will take taxis, buses & train around London. 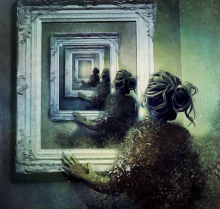 This is a deduction game for the detectives and more a game of strategy for Mr. X. Play the game and find Mr. X. He may hide in the darkest streets of London, or right in front of you, under your nose! Detectives Chase is a board game in which a team of players, as "police", cooperate to track down a player controlling a "criminal" around a board representing the streets of London. One player controls "Mr. X", a criminal whose location is only revealed periodically, and the other players each control a detective, are always present on the iPad. There is much enjoyment and anxiety playing the elusive Mr. X and trying to escape your pursuers. There is much cooperation and logical deduction in playing the detectives. GloboTrac, an emerging application developer focused on creating a diverse array of mobile utilities, has today announced a recent update of U.S. Traveller for iPhone, iPad, and iPod touch devices running on iOS 4.0 or later. A unique traveler’s resource that includes detailed information on more than two hundred countries, this useful app provides American tourists roaming abroad with everything they need to know to stay safe, make the most out of their travels, and ensure they have a smooth journey to almost any corner of the world they choose to go. Newly updated, version 1.1 of this app includes government info updated in real-time and the ability to open Travel Alerts as separate web pages. 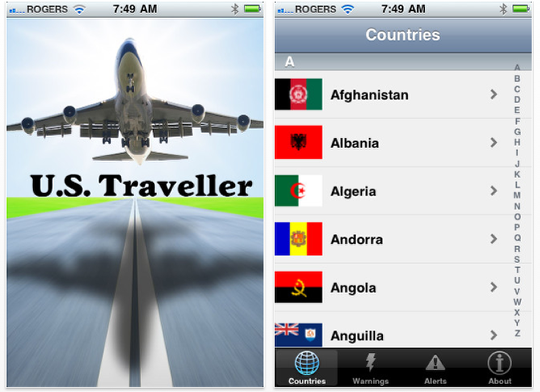 U.S. Traveller v. 1.1 is currently available for download on the Apple App Store for $1.99 in the Travel category. Employing an easy-to-navigate interface that categorizes information by country, U.S. Traveller divides each included nation’s guides divided into unique concise sections. This straight forward structure guarantees that users are able to find the facts and information they need quickly without having to sift through scores of irrelevant content to get there. Each country guide in U.S. Traveller includes six unique sections – Country Description, Embassy Location, Entry/ Exit Requirements, Safety & Security information, Crime data, and a Victims of Crime page for the user’s reference. U.S. Traveller also provides wanderers with official government Travel Reports, Warnings, as well as a wide array of interesting and helpful facts for each country included within the app. Country facts include a general overview of each available region as well as, up to date information on any given nation’s People, History, Politics, Economy, Foreign Relations, and more. NxtApp 4 Kids, popular math app for the iPhone, iPod touch and iPad is selected by ThinkTanK12 as one of only nine latest and greatest iPad apps. ThinkTanK12, America’s largest provider of online education for grades K-12, performed an extensive search for great iPad-optimized apps that are both educational and fun before making its selection. Scott Holm of ThinkTanK12 writes: "I’ve put together a list of some of the latest and greatest iPad apps, many of which are great ways for children to practice basic concepts like math, all while being entertained. This mixture of education and entertainment (edutainment) is a great way to overcome some obstacles that your child might struggle with in school." 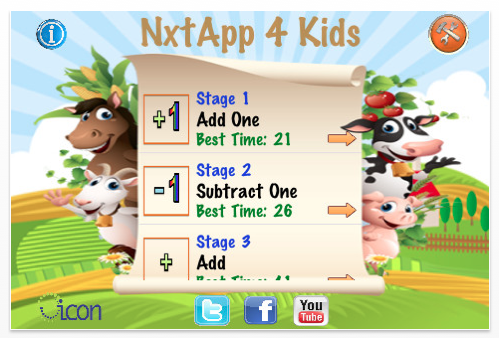 "NxtApp 4 Kids is designed to help kids practice basic math in the form of number sequences." Scott adds, "Great artwork optimized in HD for the iPad brings an interactive math experience set on a farm, with animations and sounds designed to keep kids engaged. Through five different stages with varying difficulties, NxtApp 4 Kids is great for all kids ages 4 and up who need a little extra help practicing their math skills. iWorldWideApps today is pleased to announce the release and immediate availability of Camera Flash PRO for iPad 2, their new flash correction application with real-time preview. With Camera Flash PRO, you can perform manual flash adjustments (adjust photo exposition with brightness, contrast and gamma setup) or use auto adjustments features in app (flash reduce and flash enhance features). iPad 2 does not have built in hardware Flashlight and some photos (especially taken in night time) may be is too dark that you can not see anything on them. Camera Flash PRO was created specifically for such cases. 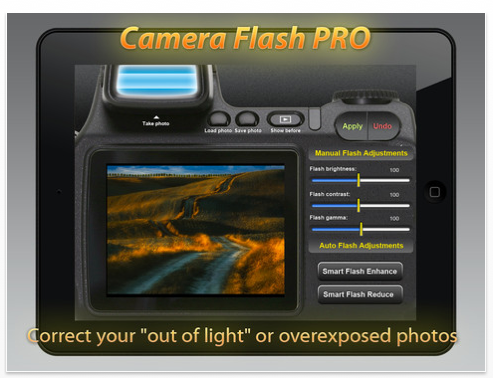 Now you can correct your "out of light" or overexposed photos with Camera Flash PRO for iPad 2. The application provides automatic and manual light correction mechanisms. 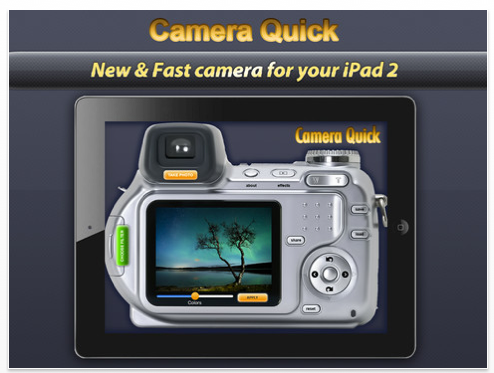 Web-design and development company, Creanncy today is pleased to announce the release and immediate availability of Camera Quick for iPad 2 and iPhone 4, their fast cameral application. Take photos fast, edit it with adjustable photo effects (gamma, saturation, brightness, colors, etc) or apply predefined auto image filters from built in library. You can save your photos to device or send them to friends or web (Facebook, twitter, etc). Get awesome photos, apply cool effects, and more. 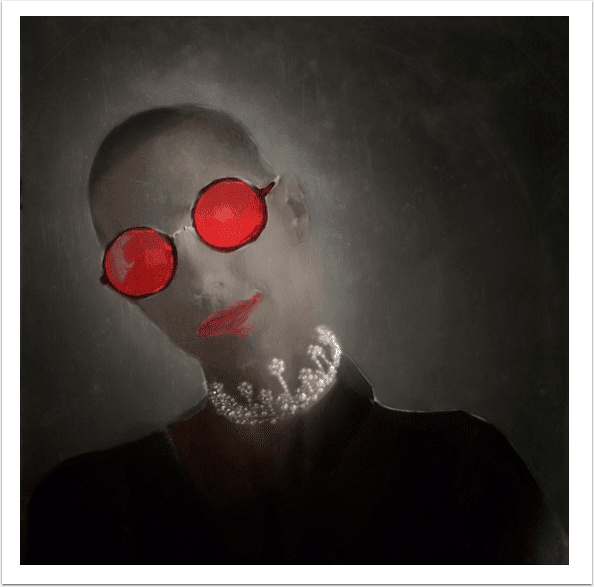 * Filters pack with awesome effects and presets!